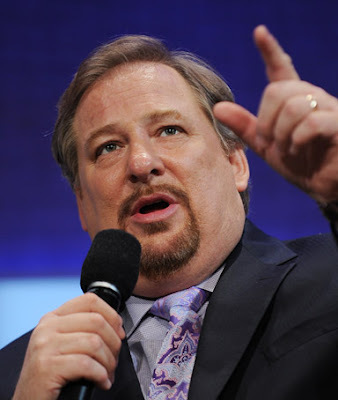 We shall now conclude this series on the TTUF Profile of RICK WARREN with this third (of three) installment. Let me say that while very many people have read The Purpose Driven Life (and Church) and found them helpful, it’s not so much what Mr. Warren states that’s in agreement with scripture (albeit this seems in the somewhat minority amount contextually), but what else he says that is objectionable (as properly outlined by Warren Smith’s “10 Reasons” listed below). The other point that has biblically oriented Christians (there should be no other kind!) concerned are his endorsements and inclusion of so-called Christians who also tout and support New Age dogma. Is it possible that while Rick Warren may have, and still does tout some biblical beliefs today, he is setting the stage for the day in which he receives “more information” and does the smart thing, and “flip-flops” his position in acquired wisdom, and starts talking like his Emergent/New Age friends? If its true that you can judge a person by the company he keeps, and Warren Smith provides ample evidence of those with whom this Saddleback pastor associates with, then it would seem quite reasonable that he will start sounding more and more like these heretics of the faith (and the New Agers too) until finally, he will be indistinguishable from any of them! We have a few more issues to report on before we end this article; we will examine Warren Smith’s Ten Basic Reasons to support the assertion that Rick Warren’s teachings are not the Gospel Way, which according to the LORD Jesus is the narrow way, but is in fact “a broad way” style of Christianity. Then we will look at some Youtube presentations in which you the reader can hear from Rick Warren’s own mouth, the things that he himself believes. Finally we will post a four part series of an interview with Warren Smith. As always, I admonish the reader to understand, I have nothing against Rick Warren personally; I don’t know the man. I’ve never met him. These issues that I’m raising in this article are about what this man says, and believes, and promotes to the church at large; and I will challenge any belief no matter who it comes from. If it’s not in line with and in compliance to God’s Word, the singular standard and source of spiritual truth found any where in this fallen world of sin and deception then it cannot be accepted as doctrine! 1) Rick Warren’s Purpose drive movement offers a Broad Way Christianity. One of the mysteries of the Christian faith can be found in Jesus’ warning that the way to life is “narrow” and that “few” would actually find it. Jesus is telling usin advance that the “broadway” – no matter how well intentioned – is not from Him. With Rick Warren’s reformation movement based on ‘deeds and not creeds’, everyone is invited to partake in this global effort. But biblical principles are watered-down and often cast aside. Rick Warren teaches only what he wants to teach from the Bible. As a result, there are many important teachings that he skips over, de-emphasizes, and leaves out - particularly in regard to prophecy and spiritual deception. Read Acts 20:27-32. 3) Rick Warren’s “Broad Way” Christianity does not discern the spiritual signs of the times. Just as the leaders in Jesus’ day discerned the weather but not the signs of the times, Warren discerns many of the social and economic problems, but not the spiritual signs of the times. Read Matt. 16:3. 4) Rick Warren’s “Broad Way” Christianity is ignorant of Satan’s devices. Whereas the apostles Paul stated that he and other believers were “not ignorant of Satan’s devices”, Warren’s “Broad Way” Christianity has fallen prey to Satan’s devices – particularly in the area of the New Age/New Spirituality/New World View. 5) Rick Warren’s “Broad Way” Christianity does not expose spiritual evil. Warren’s version of Christianity does not sound a true warning about he deceptive spirit world and spiritual deception. There is much more to evil than the problems that Rick Warren is seeking to remedy with his Purpose Driven P.E.A.C.E. Plan. We are told to expose false prophets and false teachers, not to study under them, spiritually join with them, and further their plans. Read Eph. 6:12, 2 Tim. 3:13, Eph. 5:11, 1 Cor. 14:8. By not declaring all the counsel of God, by not discerning the signs of the times, by being ignorant of Satan’s devices, and by not exposing spiritual evil, Rick Warren’s “Broad Way” Christianity is not “fighting the good fight of faith.” Read Jude :3, 1 Tim. 6:12, Eph. 6:13. 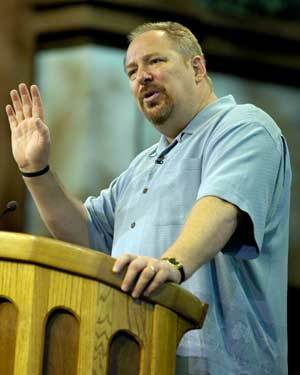 7) Rick Warren and his “Broad Way” Christianity are loved by the world and its leaders. Jesus loved the world, but the world did not love Him. Jesus warned His followers they would be hated, persecuted, and even killed by the world – just as the world hated, persecuted and killed Him. In his compromised efforts to reach out to the world, Warren and his “Broad Way” Christianity have become the world. Read 1 John 4:5, Luke 6:26, 2 Tim. 3:12, Matt. 10:22, 25 and Luke 9:25. 8) Rick Warren’s “Broad Way” Christianity is engaged in a process of ungodly change. Rick Warren describes himself as a “change agent” but in his attempt to change the world, he and his Purpose Driven movement are actually changing biblical Christianity. The Bible warns about those who push for unbiblical and ungodly change. Read Prov. 24:21, Heb. 13:8, Mal. 3:6, and Amos 8:11. 9) Rick Warren’s “Broad Way” Christianity is frequently ‘double-tongued’ and ‘double-minded’. Rick Warren’s attempts seemingly distance himself from the New Age/New Spirituality while simultaneously spiritually aligning himself with New Age sympathizers is “double-tongued”, “double-minded” and deceptively self serving. In the Psalms, David refers to those who speak with “flattering lips” and a “double heart”. Read Psalms 12:1-2, 1 Tim. 3:8-9 and James 1:8. 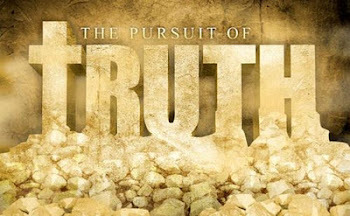 10) Rick Warren’s “Broad Way” Christianity is “not valiant for the truth”. Warren has demonstrated, in numerous ways, that he is politically and spiritually expedient when it comes to the truth. His “Broad Way” Christianity plays to the world and embraces the world because it is the world. It does not hold fast to the truth because it is not “valiant for the truth”. Read Jere. 9:3 and John 8:31. The LORD Jesus came to Earth to see souls saved, that is, to be born of God’s Spirit and thus become children of God (John 1:12) and be suitable to inherit the kingdom that would one day arrive but is not a kingdom from this world (John 18:36), of which, all children of God are citizens. 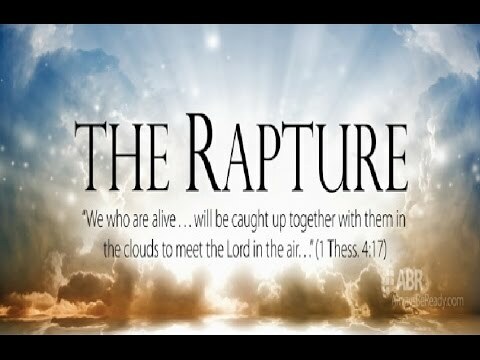 We are not citizens of this world, we are not of this world (John 15:19; 17:14, 16); our hearts and minds are to be focused towards the goal of things above (heaven) and not on things on the Earth (Col. 3:1-2). Why then does Rick Warren center most of his ministry on this P.E.A.C.E. Plan which deals only with earthly causes and has nothing to do with the Gospel? There isn’t a genuine Christian on the planet that doesn’t realize that becoming a Christian means acknowledging that you’re a sinner, and that you repent (turn away from) of your life of sin, and turn to God for salvation, and as an act of faith, believe and receive salvation by the death of Jesus Christ on the cross, and receive new life from the Spirit of God who is able to indwell believers as a result of Christ’s blood atonement, His death on the cross and His resurrection from the dead. As a result, your life belongs to Jesus and He becomes the LORD of your life. I would agree that pride is the worst sin, for by it the most powerful angel became a devil, as well as the first innocent human couple ever created were plunged into sin and the human race along with them. As for the rest “give as much of yourself as you can to as much of Jesus Christ, as we know at the time” . . . well: that simply is not what the Bible teaches Mr. Warren. Where does it say, what you said, in your own Bible? He designated correctly that there are two paths we can take: God’s and Satan’s/our own but he failed to mention the WAY to get to heaven: Jesus Christ and the Gospel as is outlined above! Double Tongued Talk By R. Warren? He said that he apologized to his homosexual friends, and that begs the question: Pastor Rick, do you believe that the Bible says that homosexuality is a sin? Like with this issue, it seems that Rick Warren conducts himself with ambiguity and ‘fuzziness’ when it comes to concrete and important issues. Getting back to the issue of panentheism, that is, “God is IN everything” we need to examine this belief carefully from the biblical point of view and recognize its many false assertions. First of all, if God is indeed in everything (that includes every one) then no one could be held accountable for their wicked deeds, since if God is dwelling in them, there really is no such thing as wickedness, and the idea of ‘sin’ is fallacious (Marianne Williamson says quite often “There is no such thing as sin!”). Others would state that the likes of Hitler, Manson, Dahmer, Stalin, Arafat, etc), and the typical criminal do the things they do because they have not been made aware of their own divinity. It seems that whether or not a person is ‘aware’ of God dwelling in them, either He is there or He isn’t. If He isn’t indwelling the person, there is an obvious lack spiritually speaking that must be met if that person is to have a fulfilled life both now and in eternity (the Biblical assertion). If God is indwelling that person (as well as all persons: the New Age assertion), being God, it would seem reasonable He would (being Almighty) have an efficacious influence on them whether they realized it or not; just as a patient who is unconscious, being pumped full of vitamins, nutrients and saline would respond to such benefits even though they are unaware of their administration into his body. If one adheres to the belief of panentheism that negates the need for salvation, for salvation is primarily the redemption of the soul and the creation of a purely new heart that God can inhabit freely. Since God is holy, He cannot partake of, nor have any communion with sin, or the heart that harbors it, thus the need for salvation. Panentheism states that God already dwells within us all; thus what need is there for the Cross of Christ, or the Atoning blood that He shed for the sake of humanity. According to such New Age/Emergent tenets, the Cross is a waste of time in regards to any supposed salvation, and at best merely serves as an example of suffering servanthood, but nothing more! Satan would like nothing better than for the world to ignore, even reject the Cross of the LORD Jesus and His finished atoning work He accomplished there. That is why the idea of “God in everything” is a satanic ploy being perpetrated by New Age/Emergent movements in order to infiltrate and infect the church, divesting them of any value in regards to the LORD’s sacrificial death and resurrection on behalf of sinful humanity. As always, we Christians must be ever vigilant for false doctrine and beliefs that seek to invade (and have succeeded to such a large degree today!) the church. Doctrine is NOT a peripheral issue, it is a PRIMARY issue, for it’s the doctrine of the Word of God that forms our beliefs, attitudes, and conduct which will rightly align ourselves with the will of God, as well as enable us to be conformed to and transformed by the LORD Jesus. Scripture tells us to “contend for the faith that was delivered to us” and to stand fast in the Truth. 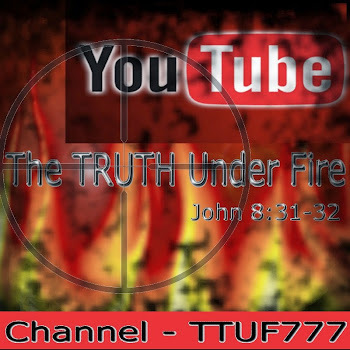 The entire thrust of The TRUTH Under FIRE as a web site ministry is geared towards this conviction! In an upcoming article we will examine an excellent book by John MacArthur entitled, The TRUTH War, and what he hopes will cause a revolution in the church by encouraging us to be bold in our proclamation of and for the Truth. I heartily endorse this work and would encourage you to get this book, read it, and pass it on! Until then, may the LORD bless you as you remain steadfast in the Truth of God’s Most Holy, Precious Word! AWAKE! AWAKE! PUT ON STRENGTH! WAKE IT UP YOU SLEEPY CHRISTIANS! AWAKE THOU THAT SLEEPETH! ARISE FROM THE DEAD! CHRIST WILL GIVE YOU LIFE! Read more! Re-imagining and Re-Thinking are also terms that Emergents, New Agers, and now (formerly) biblical evangelicals are all using to describe what the church needs in our modern day that gels perfectly well with a revolution which Rick Warren subscribes to, as well as Leonard Sweet, and Brian McLaren, Marianne Williamson, and Neale Donald Walsch. It’s strange how someone as supposedly fundamental, and evangelical as Rick Warren, whose books are regularly purchased by Bible believing (or not?) Christians can hob-knob with not just one, or two, but several of people well known in New Age and Emergent Church Movement circles. How can we reconcile this dichotomy? That question may not be answerable. We shall continue this article in a third, last installment, coming up soon! Read more! The 2010 Census is here. Many of us have been asking questions about whether or not we “have” to fill this out. I have posted an article by Chuck Baldwin which provides some good information to help us better understand what the law requires and what governments limitations are. This article is only in part, you will have to click on the link to read it in full. Though our culture seems all but lost; though we may never return to the days where government upholds the original intent of the U.S. Constitution; though it “appears” that this world’s liberal view supersedes our Biblical worldview, we as Christians cannot and must not retreat. As Christians, we must stand for righteousness where ever and whenever we can by proclaiming our Christian values based upon Scripture, regardless of the persecution that may come. The current situation America finds herself in I think comes as a shock to most of us. The war is spiritual, the battle is not over, and the people of God need to rise up and stand. We’re quite comfortable calling people and governments, organizations and movements ‘evil.’ But to suggest that there is an “evil one” behind all of this, sounds like an archaic world-view that we have certainly progressed beyond. Yet, to disbelieve in the reality of the devil may be the devil’s most effective weapon of all. Frankly, I don’t like this, not one bit. I really wish I could just be left alone to live in the peaceful tranquility of my nice safe home with my loving family and the fellowship of my wonderful congregation. I would much prefer that as a child of God, God would surround me with a force field that blocked every assault and attack of the devil and all his evil schemes. I really wish that Paul concluded his letter to the Ephesians by telling them how to escape the trouble of the evil day, rather than how to face it. But Paul closes off the way of escape that I would prefer to take. There is no escape. You can’t escape. You are forced to cling to Christ and His power to deliver you from all evil. 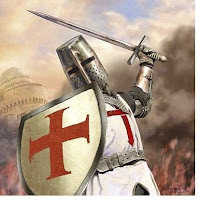 Christians, we need to put our armor on. We need to engage in the battle. The battle is won on our knees. Yes, there are things we can do, yes there are things we must do; but prayer is our ultimate weapon. We can no longer afford to rest on our laurels…. (for you younger readers this is an idiom which means to rely on one’s past achievements instead of working to maintain or advance one’s status or reputation). In the Christian sense, it means not to rely upon the fact that you gave your heart to Jesus so many years ago, and instead of maintaining your walk as a believer; grow in your faith, and making your calling and election sure….you have become lazy and your passion for God is dimmed and your testimony of Christ is of no effect. The 2010 Census is here. Many of us have been asking questions about whether or not we “have” to fill this out. The following article provide the necessary information to help us better understand what the law requires and what governments limitations are. The articles are only in part, you will have to click on the links to read them in full. The constitutional requirement for the Census is found in Article. I. Section. 2. Paragraph. 3. The purpose of the Census is that of counting the US population in order to apportion among the states the number of representatives in the US House of Representatives. That's it. Nothing more. Nothing less. There is nothing in the Constitution requiring or even suggesting questions regarding race, ethnicity, whether one owns or rents his or her home, income status, disability status, education, or anything of the sort. The only purpose of the Census is to count the US population. Anything beyond that is nothing more than an intrusive government prying and snooping into our lives: something the federal government is doing with greater and greater frequency and intensity these days. As to the phrase, "[As] they shall by Law direct," Paul Galvin rightly notes, "This language merely goes to the mechanics of the counting (who will do it; when it is to be done; how, when results are to be reported; and so forth); it does not enlarge what may be counted. Constitutionally the only permitted enumeration is the number of people in the United States. Why? Because that count is the determinant for apportionment and therefore the only pertinent information needed." Read Full Article Here: CENSUS IS FOR COUNTING NOT PRYING Read more!